There was a bizarre moment in Mandy’s speech – the whole thing was like a mini-panto – as he announced the car scrappage scheme extension. And as he said “and vans” he pointed to an imaginary van in the far corner of the conference hall, and then swept his arm across, as if the van was ploughing through the audience of swooning delegates. 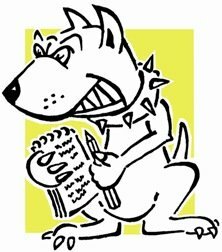 He really did have them in the palm of his hand – it was a bit like watching a dog-owner tickle their puppy’s tummy, but after a while it all gets a little gratuitous when the puppy gets over excited. 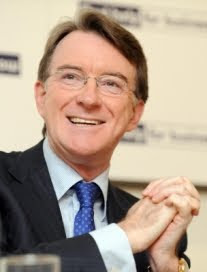 Only Mandelson can work an audience like that – “it’s just the kind of thing we need at the moment,” a minister said to me afterwards, trying his hardest not to imply that the PM won’t be able to whip delegates up in the same way.